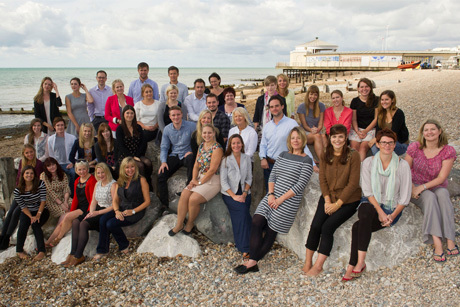 Lansons has consistently been recognised as one of the best places to work in the industry. This is because it strikes a great balance between offering staff a fun and supportive work environment and taking their career seriously. It has a share ownership scheme that means a third of its employees are partners and have a financial stake in the agency. There are no outside shareholders or partners. A third of Lansons' annual profits are shared with staff through bonuses and benefits. All staff are offered the chance to take a direct financial stake in new group companies. 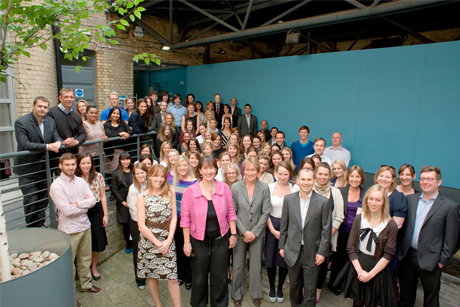 The agency only asks its staff to work out of hours if it is genuinely needed for clients or when networking at events. It recently installed a new IT system that allows staff to access their entire work desktop from home if they need to. Staff are rewarded for extra work through time in lieu or gifts such as vouchers, Space NK 'relaxation packs' or dinner somewhere special. Holidays are generous (up to 33 days) and staff are given an extra ten days' paid holiday every five years to celebrate that milestone. Staff can also use their holidays in small chunks of one-and-a-half hours for added flexibility. Lansons' business has been built on the concept of internal progression and development. Two of its current board directors started at Lansons at the most junior level, as did five of its current associates. The management team reflects the gender balance of the agency at 75 per cent female, so progression right to the top is an attainable goal for everyone. Click here for more details on Lansons Communications policies. Brands2Life's office is an open-plan space, encouraging a transparent work culture. The entire company meets on Monday mornings to discuss the previous week and plans for the upcoming week. 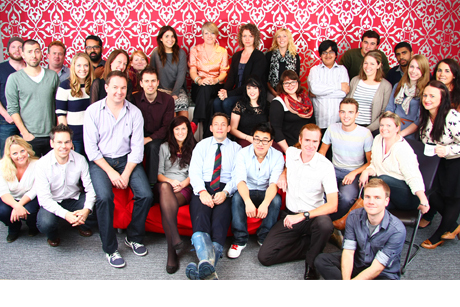 The agency uses its intranet site and the company social network Yammer to share information. Benefits include sabbaticals after four and eight years, laptops, iPhones or BlackBerrys, breakfast, Friday drinks and private healthcare for the employee as well as for his/her spouse and dependents. If an agency team participates in a charity event such as Movember, Brands2Life will match the funds raised by the employees. Managers receive regular training to ensure they are effectively supported within their roles. In the past 12 months, 27 employees have been promoted. Healthcare agency Pegasus PR offers benefits including company cars for senior managers, 4pm finish on Fridays, iPads for senior account managers and above, and summer and Christmas presents. Grants towards a healthy lifestyle are available to employees. Performance-based bonuses - 15 per cent of profits - are paid to staff twice a year. 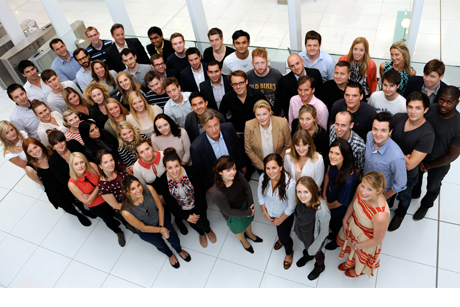 All junior and account executives complete a month-long training programme upon joining the agency. Its internal coaching scheme includes writing and presentation skills, people management and networking. Pegasus also organises external training for account managers and directors. It holds 'Meet the Professional' events with health-related professionals such as GPs, pharmacists and midwives to help the agency understand how they work. The agency has an open-door policy regarding internal information and business planning. Its learning programme was designed to help employees realise their potential with a long-term training scheme aiming to develop skills. To broaden employees' knowledge and perspective, Waggener Edstrom also regularly invites external speakers. Benefits include private healthcare, up to 30 days' holiday, and allowances covering mobile and broadband charges and fitness and family commitment costs. An international exchange programme offers employees the chance to work in another one of its 20 offices for two weeks. Employees can take up to 16 hours off annually to volunteer for charity, with the agency committing to a goal of 70 per cent of staff taking this opportunity.